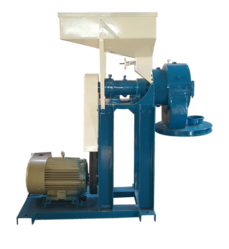 Our product range includes a wide range of chilly pulverizer 5 hp, chilly pulverizer 7.5 hp, chilly pulverizer 10 hp, spice pulverizer 7.5 hp, chilly pulverizer 15 hp and chilly pulverizer 25 hp. Specialized to grind CHILLY the pulverizer consists of special serrated Liner on the Top and perforated Screen groove at the bottom. The Chilly is fed by gravity Feed with slide gate. Rotor Shaft has special Blades fitted with two heavy duty ball Bearings. Strong base Structure fabricated out of channels. Suction blower connected to grinding chamber shaft with the cyclone for easy collection of pulverized powder. We are specialist in manufacturing different types of pulverizers since 1974. 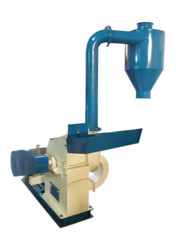 We manufacture multiple types of pulverizers having the special grinding mechanism for grinding the Spices and pulses. Specialized to grind CHILLY the pulverizer consists of special serrated Liner on the Top and perforated Screen groove at the bottom. The Chilly is fed through gravity Feed with slide gate. Rotor Shaft has special Blades fitted in two heavy duty ball Bearings. Strong base Structure fabricated out of channels. 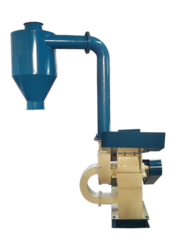 Suction blower connected to grinding chamber shaft with cyclone for easy collection of pulverized powder. We are specialist in manufacturing different types of pulverizers since 1974. 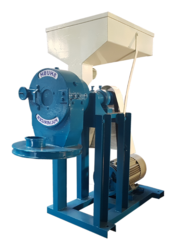 We manufacture multiple types of pulverizers having special grinding mechanism for grinding the Spices and pulses. 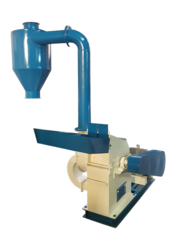 Spice pulverizer is designed especially for spices like turmeric or dried ginger. 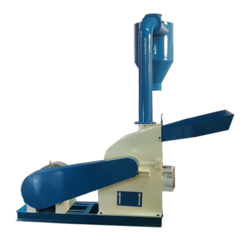 The pulverizer consists of double blades to give fine output without pre crushing in single operation. 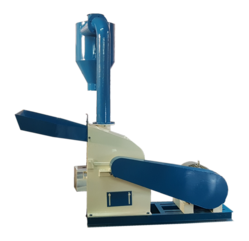 The pulverizer is extremely effective and gives best results for grinding Indian masala spices like Turmeric, Chili, Coriander, Black Pepper, dried Ginger and also pulses like Wheat, Maize, Jawar, Besan, Black Gram, Green Gram, Rice, Dal, Oats, Millet, Rye, Barley, Corn, Ragi, Salt, Sugar, etc. We are specialist in manufacturing different types of pulverizers since 1974. 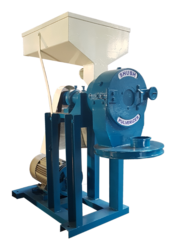 We manufacture multiple types of pulverizers having special grinding mechanism for grinding the Spices and pulses. We also offer various kinds of Blades depending upon the type of material to be pulverized. Stainless steel blade (SS304/SS316) MS hardened, WPS, EN-16 , hard faced wielded etc are some of the variants. Looking for Spice Pulverizer ?